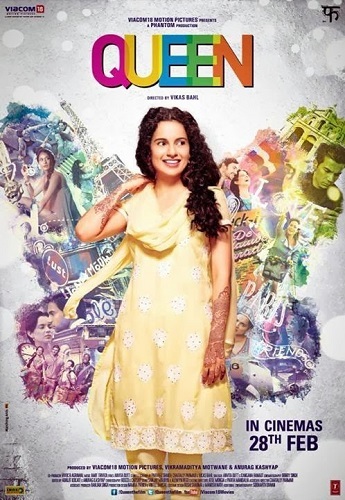 Viacom 18 Motion Pictures & Phantom Films’ Queen directed by Vikas Bahl,includes a remixed rendition of Asha Bhosle’s Hungama Ho Gaya, a number that predominately stood out in the 70’s . And giving it a quirky twist, the makers decided to picturize the song in a local club in Amsterdam called NL. If sources are to be believed,the song created a riot of sorts with the Dutch crew taking to the dance floor post the song’s shoot.It was the very first time a Hindi/Bollywood song was played in the club and the local dancers and international crew had a ball as they were introduced to the iconic number. Hungama Ho Gaya was met with such an unprecedented response that Club NL at Amsterdam hosted its first ever Bollywood Party, after the crew shot there.If that wasn't all , the inhouse DJ belted out his own mix for it, which is being used in the end credits of the film. Confirming the news says director Vikas Bahl, “We did not anticipate the kind of craze the song would garner…. The locals went absolutely crazy , dancing to the track all night long. It was a moment when India shook Amsterdam”.